Since 2003 we have devoted ourselves to the research and development of biomass energy. After several years of determination and persistence, and by adopting a Chinese perspective in studying the technology in use in the United States and Europe, we were able to successfully develop first-class biomass pellet machinery and complete pellet lines. Each product is unique, and is the result of thorough experimentation. 2003: Established Zhenhua Machinery Factory to research biomass machinery. 2004: Successfully commissioned the first ring die designed for cotton seed husks. 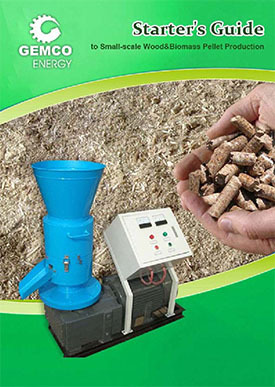 2005: Successfully designed first wood pellet production line. 2006: Studied drying equipment and expanded production line capacity. 2007: Successfully implemented first pellet production line in China. 2008: Established Liyang AKG BiofuelTech Material Machinery Co., Ltd (specialized in the manufacture and sale of biomass pellet machinery). 2010: Achieved rapid development. Constructed more than 100 production lines in China and eagerly sought out cooperative opportunities in overseas markets. We enjoy 75 percent of the Chinese market in the production of biomass pellet plants due to our leading technology in biomass processing and sustainable energy. Our quality machinery consumes less energy, is competitively priced and is easy to operate. Our capabilities include both the design and manufacture of complete biomass pellet plants, as well as animal feed machinery, including the auxiliary machinery such as hammermills, crushers, mixers and rotary dryers.